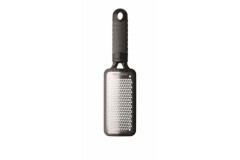 Microplane graters are top of the line graters that were born from actual wood working tools to provide the sharpest cutting service. 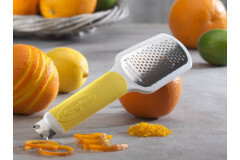 Created for the at home chef microplane uses a signature chemical process to sharpen their cutting edge instead of stamping it like their competition. 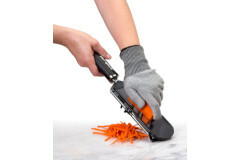 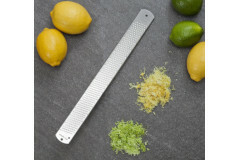 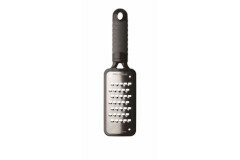 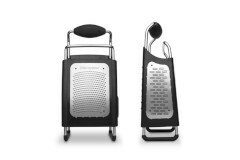 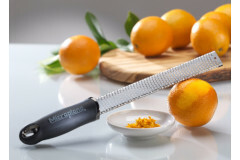 Microplane grates cut through hard and soft foods effortlessly.